A Justice of the federal high court in Ikoyi, Lagos, C J Aneke, has granted an order of interim injunction restraining MultiChoice from enforcing its planned increase in cost of the different classes of viewing of its pay TV, DSTV. MultiChoice, owners of DStv and GOtv, had announced a 20 percent price increase for all its satellite pay TV bouquets in Nigeria to take effect from April 1, 2015. According to them, the annual price increase, usually in-line with inflation, is necessary for it to continue offering the best in local and international entertainment to its subscribers. urgency sworn to by the plaintiff. 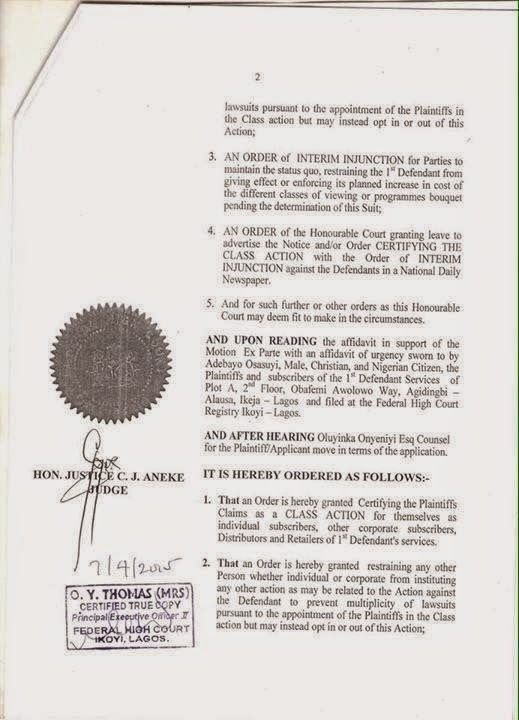 “That an order is hereby granted restraining any other person whether individual or corporate from instituting any other action as may be related to the action against the defendant to prevent multiplicity of lawsuits pursuant to the appointment of the plaintiffs in the class action but may instead opt in or out of this action”. 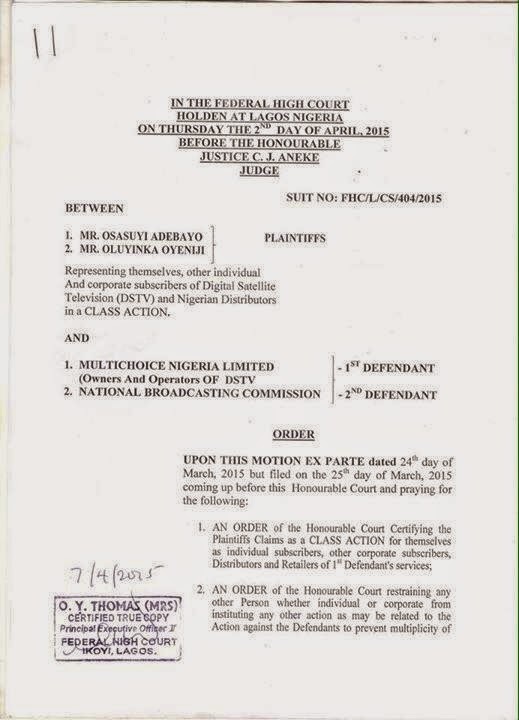 The suit, filed by Adebayo Osasuyi and Oluyinka Oyeniji, DSTV subscribers/customers, at the federal high court registry Ikoyi, Lagos was adjourned to the 16th April 2015 for hearing.